Recruiting Volunteers For the Girls Are Powerful Conference in September. The Girls Are Powerful Conference, is our annual event that bringing together girls from all across the Twin Cities to empower them to love and celebrate their power through guest speakers, break out sessions and more. This all-day conference takes place on September 14th and this year’s theme is Empowered To Be Me. 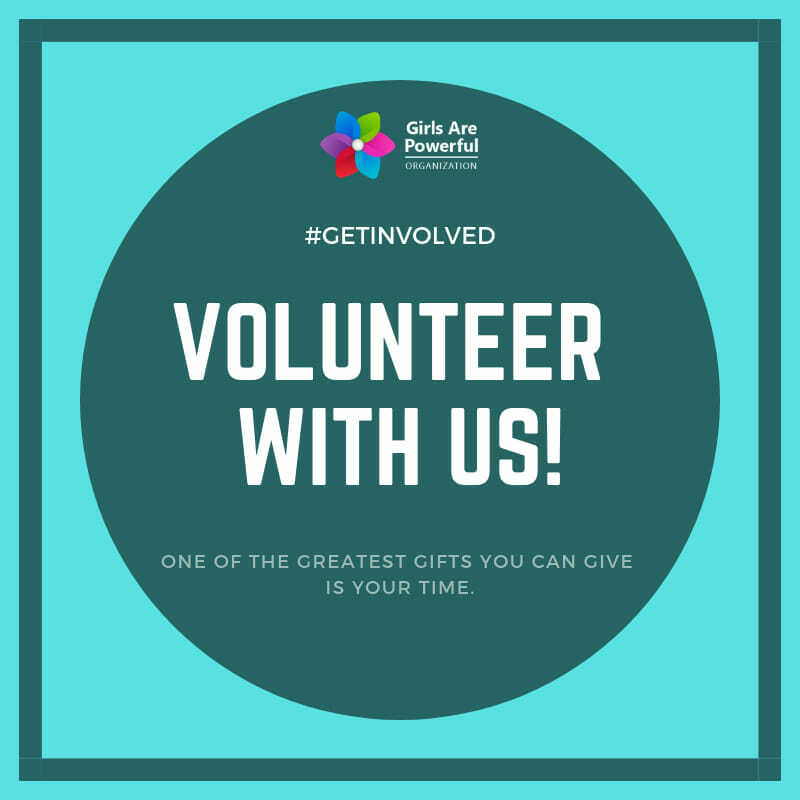 Volunteers are needed in a variety of roles such as programming, communication, scheduling, marketing, creative design, sponsorship, registration, promotions. JOIN THE TEAM TODAY BY- completing our volunteer application here.